Scientists at the University of Illinois and Nanjing University in China have discovered that the earth's inner core actually has its own inner core. Originally, the earth was thought to have an inner core and outer core which was solid and liquid, respectively.Although the newly found inner core is very small, it has some very unique features. This new find could give insight on how the earth was formed, its history and other processes that take place in and on the earth. This finding is not only important to geologists, but to the entire science community. It could potentially help give insight on different events that have occurred within the earth and how it was formed. There had to have been some kind of phenomena that took place within the earth for there to be 2 different inner cores. This helps with rocks that are billions of years old and have strange paleomagnetic signatures on them. The Totten Glacier is the East Antiracist's largest outlet of ice to the ocean and has been thinning very fast over the past several years. Now, there is warm water running through the middle of the glacier causing it to melt faster. This could cause major problems because there is enough ice to cause the ocean to rise to nearly 11 feet. The glacier is near its tipping point and unless atmospheric and oceanic conditions change, the damage will be irreversible. The snowfall isn't sufficient enough to compensate for the costal ice tjay is melting off. Much of the interior basin lays under sea level, which makes the above part of the glacier more susceptible to melt. Articles like this one are starting to become way to common. Global warming is obviously becoming very prominent and causing many problems throughout the world. The Totten Glacier is melting faster than it can rebuild itself due to the increased temperatures of the atmosphere and ocean. Hopefully, more people will began to realize that there is a major epidemic at hand and it needs to be dealt with soon. Without doubt, climate change is causing drought and presenting the risk of severe drought throughout the Southwest and Central Plains. The rising temperatures and decrease in the amount of rainfall could be worse than any drought seen in the past 1,000 years. The Dust Bowl the occured in the '30's was nothing compared to the drought that took place in the Southwest from 1100-1300. According to Lisa Graumlich, head of Washington's College of the Environment, says that the Dust Bowl was nothing compared to the drought that occurred in the 1100's. The prejected drought could be worse than both the Dust Bowl and the 1100's drought and would affect at least 17 states. From 1950-2000, the risk of a drought that would last more than a decade was less than 10%. Today, that number is 80%, which should be an eye-opener for anyone with a brain. 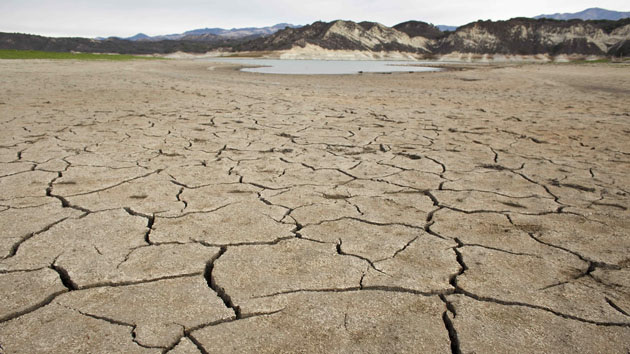 This drought would affect almost half of the U.S. and would cause chaos. The first thing that needs to be done is to deal with the biggest problem first, which is the cause of climate change. After that, water use needs to be taken into account. The entire region that is going to be affected by this drought is known for farming, so that means many people may not be able to support their family and run their business. Originally, the extinction of the dinosaur that occurred sixty-six million years ago was thought to have paved the way for mammals to dominate, but a new study shows that mammals died off alongside the dinosaurs. Metatherian mammals thrived while living next to the dinosaurs during the Cretaceous period. A study conducted by an international team of experts on mammal evolution and mass extinctions, shows that these over abundant mammals nearly disappeared with the dinosaurs. A ten kilometer wide astroid struck near what is now Mexico at the end of the Cretaceous and unleashed a global cataclysm of environmental destruction, some two third of all metatherian living in North America died. After this massive extinticion, the metatherians would never regain their numbers which is why they are so rare today and largely restricted to unusual environments in Australian and South American. Animals that give birth to well-developed young took advantage of this demise and now thrive. They are found all across the globe range from mice and men. There has been a huge transformation in Putah Creek and without Petar Maylo, none of it would be possible. Petar has worked tirelessly to help save the California Salmon and help them make their travels from the pacifics Ocean to the Sierra's possible. In California, half of its millio risks are diverted or impouded for urban or agriculture use. these dams reduce the risks of floods and sstore important water reserves for the thirsty state. They block three fourths of historic hbitat of migrating fish like salmon and steelhead. in the 1990's , Moyle began to explore ways to undo this dimase. One way to do this would be to release water to match natural water patterns or the system. Moyle's settlement requires the Solano County Water Agency to maintain certain speeds of water flow, hinged around to high water pulses in winter and spring. Ten years after this was put into play, they checked to see if there were any difficulties in fish hingers. They results were astonashing with population soaring. This shows that something this simple can have a huge impact on fishing and can even save a species like the salmon. 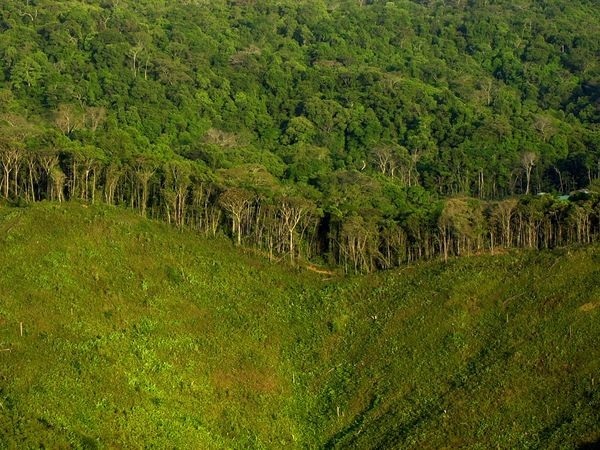 Deforestation is the clearing of a large plot of forest at a time, which is usually human inflicted, but in some cases can be caused by natural occurrences. Natural deforestation is usually caused by such things as wildfires, while human inflicted deforestation could be a farmer clearing an acre to plant a crop to feed his family. Since deforestation is mainly related to the want of more money, agriculture is most often seen as the largest striving area. The reason why agriculture happens to be the highest culprit is farming requires more space for planting crops or the grazing livestock they may own. Also, logging operations provide a major impact on forests. These logging roads result in further deforestation because it provides easy access to people who usually can not enter the area. Deforestation also plays has a huge impact on biodiversity. Almost 70% of all organisms live in or around the forests. If forests disapere then the obvious result would be a loss of organisms. Humans can help slow these losses by using proper cutting techniques and also conservation. Clear cutting has to be stopped at all costs. Selective cutting is okay to be used as long as its done sustainably. An alernitve to wood for burning and paper uses needs to be found and used. Is the Earth's rising temperatures causing extreme weather? These rising temperatures are man made and not much is being done to help slow these human impacts down. Extreme droughts, intense down pours and severe storm surges are becoming all to common throughout the world. With accurate weather models only dating back to the early 1900's, scientists have been wary of connecting the extreme weather with global warming. In the coming days, a Stanford Professor will be speaking about these predicaments and will connect the global warming to the most extreme storms that have been occurring. The professor feels that it is essential to ask the right question in order to understand the storms. Instead of asking if global warming caused a particular event, he thinks that one should ask if the this event is more probable to happen statically now with high global temperatures than when they were lower. The main challenge is the limited weather data that is available, since they do not go back thousands of years. The big wigs in Washington do need to take in consideration that the warming is probably causing these events which are causing millions of dollars in debt. In conclusion, newer models and research will hopefully prove that global warming is the main cause of the severe weather. One of the largest lakes in the world is drying up due to over extraction and drought. Central Asia's Aral Sea used to be the fourth largest lake in the world, but is merely a pond now. Fishing communities have been devasted and the reaming water is so polluted, it has become a health problem. Durning the 1960's the Soviet Union began taking water from the lake for irrigation purposes which slowly began to drain the lake. The side by side picture above represents comparison photos taken in 2000 and 2014 respectively. The photo taken in the year 2000 was still very empty compared to prior years. In 2005, Kazakhstan built a dam to separate the lake into separate North and South sectors as a last ditch effort to save the lake. This article applies to APES because of the lack of water conservancy, drought and potential future problems from dust storms. Also, farming and fishing communities that relied on the lake for survival are now doomed without the water. Dust storms could originate at the dried up basin of the lake from high winds blowing loose sediments up. This is a wonderful example of what can happen due to a lack of conservatism. When people or a group over use water before it can be replenished, can dissipate an entire lake that some need to live. Natural cycles and sea surface temperatures are the main culprits for California's drought. These new findings build off an earlier report the was published by Bulletin of the American Meteorological Society. One of the more interesting finds from the study was that the drought in California is not caused by global warming. Droughts are a common occurrence in the state's climate record and multi year droughts are common. This new information can help better prepare water managers and major industries better prepare for lengthy dry spells. As Richard Seager who is a professor at Columbia University says,"preparedness is key". This is an astonishing find and in the future, may result in a great drought outlook. As a Californian, I know first hand how drought is effecting everyone. Water is tight and local reservoir are nearly empty. One of the biggest concerns when it comes to water is farming. Farming is a huge economy in California's central valley. With the limited amounts of water farmers have limited irrigation waterings. Although many species are at risk of water shortages, the Salmon is probably in the biggest trouble of them all. They cannot swim up river without water and if dams block their way, they cannot spawn. In conclusion, these findings are huge for California and will benefit many people, species and ecosystems in the near future. ﻿ Recent studies from Duke University have found some rather surprising new information. Changing water temperatures, rainfall patterns and seasonal flows that are linked to global warming may give invasive wetland species the upper hand in the marshes and wetlands over the less adaptive native species. The study found that human disturbances to watersheds and nutrient and sediment runoff into riparian wetlands over the coming years will further boost invasive species dominance. Each of the changes to these biomes will be somewhat small, but over time, will accumulate to more severe changes. These biomes are highly diverse and if precauitonary actions are not taken, these areas will be nothing more than Japanese knotweed, hydrilla, honeyshuckle, privet and other noxious invasive species. It could also affect the wetlands' ability to control flooding, store carbon, filter out water pollutants and provide wildlife habitat. This is the first study that shows the potential long term affects on plant communities in major river systems from global warming and land use. The Environmental Protection Agency(EPA) funded this study which is a major eye opener on future problems that may occur in the river ecosystems. Furthermore, the main cause of these issues are from global warming, an ever occurring event that is still being overlooked by the common person. Hey there! Baseball season is finally here.